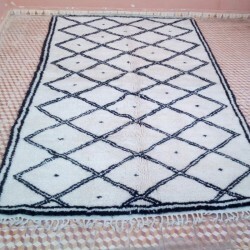 Beni Ouarain Berber rugs are coming from the creativity of Berber women. 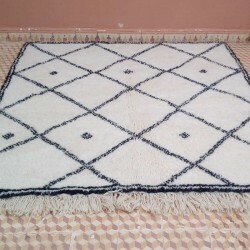 These rugs are one of the many styles of rugs of Morocco, hand woven with wool on a woolen frame. 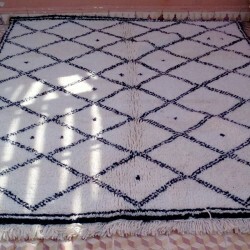 They are one of the most creative rugs of Morocco. Beni Ouarain rug 180 x 200 cm, hand made in Morocco by Berber women. Authentic Berber Beni Ouarain rug of Morocco. Beni Ouarain rug 310 x 280 cm home made in Morocco. Berber Beni Ouarain rug 280 x 180 cm hand loomed in Morocco. A 100% natural wool rug. Beni Ouarain Berber rug 315 x 195 cm for interior decor. 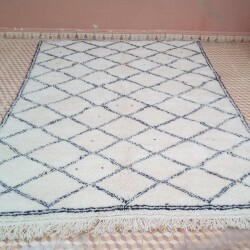 Hand made rug of Morocco. Enjoy the Morocco-inspired art of well-being in your sitting room at home. Beni Ouarain rug 170 x 230 cm hand woven with wool. A traditional Berber rug to create a Morocco-inspired sitting room. 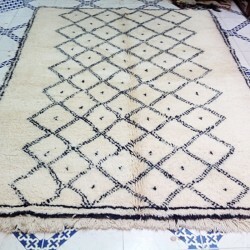 Beni Ouarain Berber rug of Morocco with diamonds shapes. 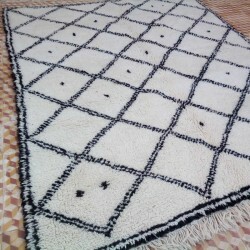 Hand woven rug made of a frame wool and woollen shapes. 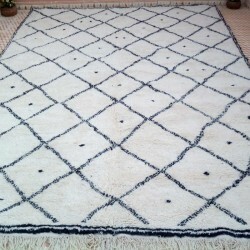 Design Berber Beni Ouarain rug of Morocco 400 x 290 cm hand loomed at home. 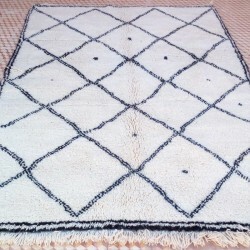 Morocco Berber woollen Beni Ouarain rug of 220 x 170 cm. 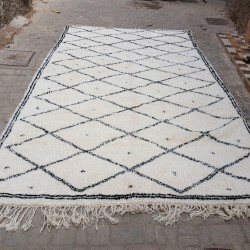 Traditional Woollen Beni Ouarain rug 190 x 280 cm hand loomed in Morocco. 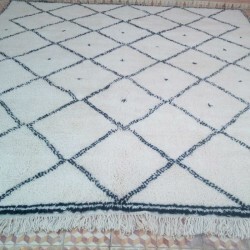 Enjoy a home made Berber Beni Ouarain rug of Morocco 210 x 300 cm. 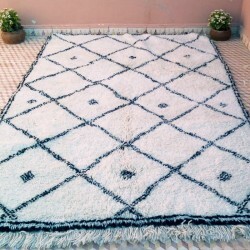 A natural and so design famous rug from the Middle Atlas mountains in Morocco. Beni Ouarain Berber rugs display the art of the Berber women in the choice of the shapes and styles. 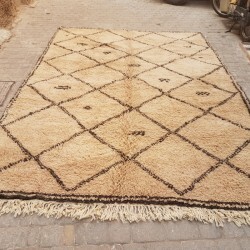 Traditional Morocco rug, Beni Ouarain rug hand made with natural sheep wool.